Literary legend Herbert Gold will be this month’s speaker. From the beatniks to post-war Paris to San Francisco and more, Herbert Gold has been an important figure in many of the most iconic writing scenes of the century, all the while writing dozens of novels, short stories, essays, and an autobiography or two to boot. If you know what’s good for you, you’ll come and see one of the most well-known and respected authors of the last six decades who is, as the title of one of his more recent books so proudly proclaims, still alive! Herbert Gold was born in Cleveland, Ohio, in 1924. After several of his poems were accepted by literary magazines, he moved to New York at age seventeen and studied philosophy at Columbia University. While there, he befriended many Beat Generation writers, including Anaïs Nin and Allen Ginsberg. Gold won a Fulbright fellowship and moved to Paris, where he did graduate studies at the Sorbonne and worked on his first novel, Birth of a Hero, published in 1951. Since then Gold has written more than thirty books and received several awards, including the Sherwood Anderson Award for Fiction, the Commonwealth Club Gold Medal, and the PEN Oakland Josephine Miles Literary Award. He has also taught at the University of California at Berkeley, and at Stanford, Cornell, and Harvard. 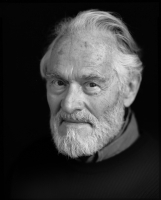 A San Francisco literary icon, and the chronicler of Bohemia for more than sixty years, he has also made friends with authors like Saul Bellow, Graham Greene, William S. Burroughs, Richard Wright, and James Baldwin. It all started in Lakewood, Ohio at Taft Elementary when Miss Collins stroked his hair and told him what a good little writer he was. His books, including Not Dead Yet: A Feisty Bohemian Explores the Art of Growing Old, and When a Psychopath Falls in Love, are available for purchase here and at your local bookseller.